Ryan Allison, VP of Operations for Smyth Companies’ Bedford offset printing location, walks energetically through his plant floor, greeting his employees with questions about their kids, asking how a family member is doing after surgery, joking with another employee with some good natured ribbing, and even carrying on conversations in Spanish at times. Allison and his family relocated from Florida a year ago, but you’d think it was longer, the way he interacts with his Bedford team. Allison has joined a company with a long history, both locally and in the national packaging industry. Smyth Companies was founded in 1877 in Minneapolis; in 1998, it acquired Bedford’s Piedmont Label Company, a fixture in the community since 1919. After Smyth acquired Piedmont, the company donated over 10,000 vintage labels to the Blue Ridge Institute & Museum’s permanent collection. Today, Smyth is still located in the old Piedmont building on Depot Street in Bedford. strong employer in the area for many generations. Smyth is one of the foremost printers of labels in the industry—they create pressure sensitive labels, shrink-wrap and flexible labels, among many other options—and they’re continuing to invest in new technology to meet modern demands. You’ll recognize their work—their package labels can be seen on products ranging from automotive to consumer goods, and canned goods. A 2011 acquisition of Dow Industries further expanded their operation. The Bedford location specifically handles offset printing, but as a company, Smyth has stayed ahead of the pack for label innovation. Their company creates pressure-sensitive labels (think labels on glass beverages or plastic containers of motor oil), and flexible, printed plastic packaging (such as a bag of beef jerky). On a recent visit to the firm, Allison shows off a new machine, a multi-million dollar investment to keep Smyth at the forefront of their industry. He explains how it works with an excitement that’s contagious; it’s a digital offset machine that allows for different labels to be combined on the same printing job and has built-in sensors that will automatically adjust output to correct ink density, for instance. For those who aren’t in the printing business, this is a huge improvement over the previous machines that required stopping, manually adjusting ink density, and restarting. It’s not just the faster technology, but the fact that this new press will not only reduce paper waste but also increase printing capacity by nearly 20 percent compared to previous machines that print a single job at a time. Smyth employs over a hundred people at the Bedford location; in addition to printing, die cutting and packaging the labels, there’s an entire creative team that works with clients to prepare pre-press files. “Smyth, as a company, is celebrating 140 years this year, and it’s neat to be part of such a long tradition and providing so many jobs to the community. The ability to do what we do every day—we pride ourselves on who we are: a world-class provider of products and labels. Being able to differentiate our customer’s products at the retail level. That’s something that I’m proud of, working at Smyth,” says Allison. Investing in their local community is also important to Smyth Companies. One problem that many manufacturing businesses are facing is an aging workforce. Allison says the average tenure for his employees is 25 years; this number speaks to the loyalty of Smyth employees but also means that as more workers retire, the pressure is on to fill those skilled positions. These efforts have not gone unnoticed. 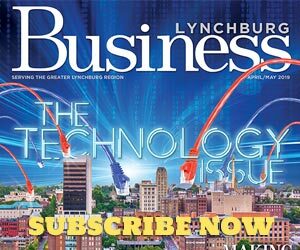 “[Smyth’s] recent investment of $4.6 million in state-of-the-art press equipment and 16 new jobs in Bedford shows that it continues to believe in the quality of the workforce here,” said Traci Blido, Bedford County Economic Development Director, in a recent email. The Bedford EDA awarded a $25,000 grant to Smyth in 2016 in recognition of those investments.